General categories of words about the same topic. Icicles form when dripping water freezes. 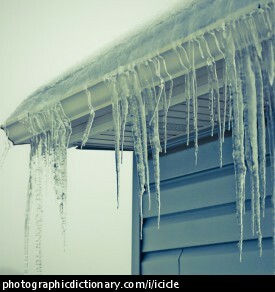 In a cold climate, you might see them hanging from the edge of a rooftop.